Insert the screwdriver at the quarters first. 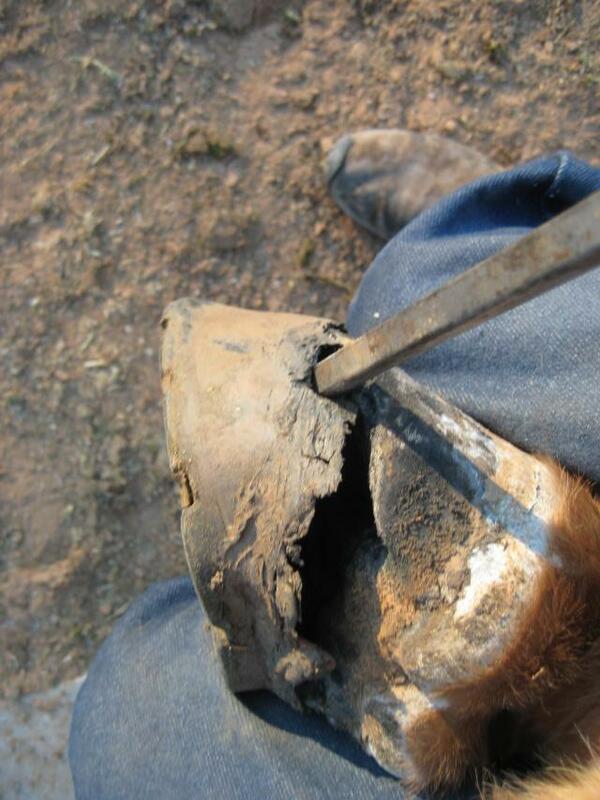 That area might already have seen some weakening of the adhesion and display a small gap between hoof wall and boot. Tap with the rubber mallet and loosen the bond all the way to the bottom of the boot. 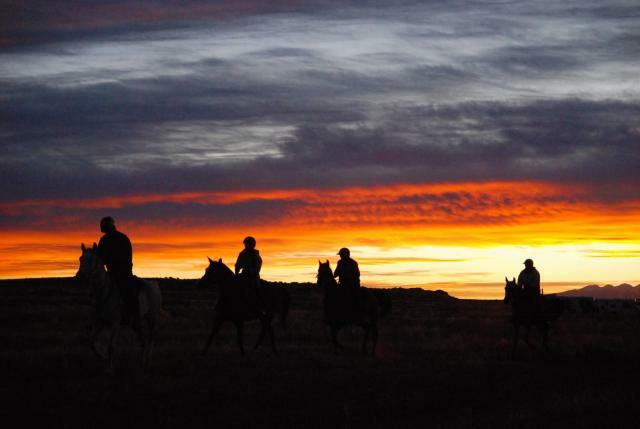 Too many times we have seen people not loosening the bond all the way to the bottom, with the result that is getting very difficult to pry the boot of the hoof. 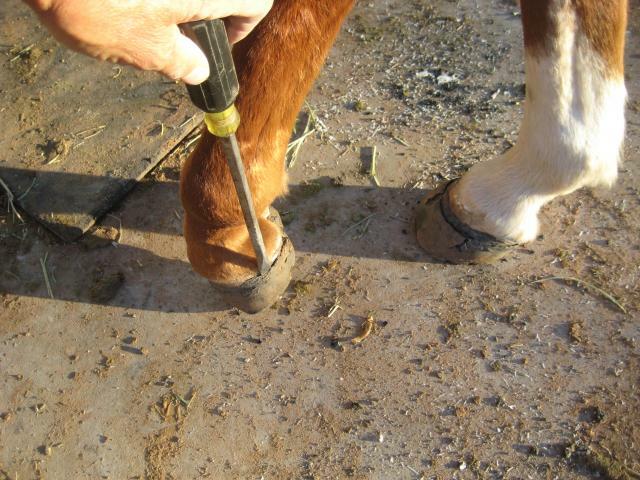 The Hoof Glue is all the way loosened to the bottom of the sole. 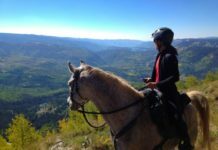 Many of us have experienced that our horses want to lift the hoof off the ground when we are touching the hoof with the screwdriver. 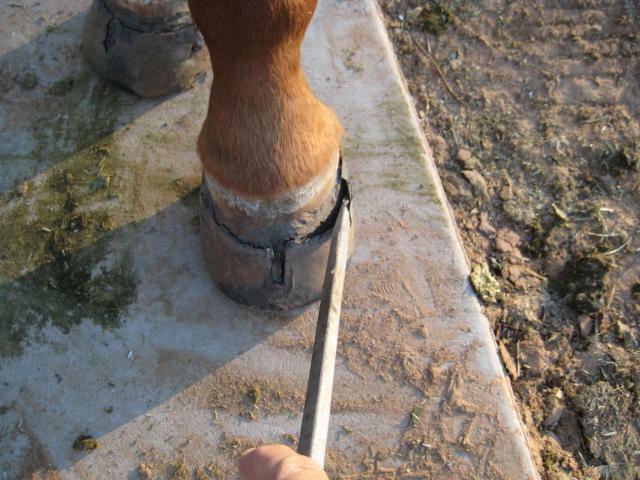 They are so conditioned to give the hoof for us to work on but it is not a favorable position to insert the screwdriver and using the mallet effectively. 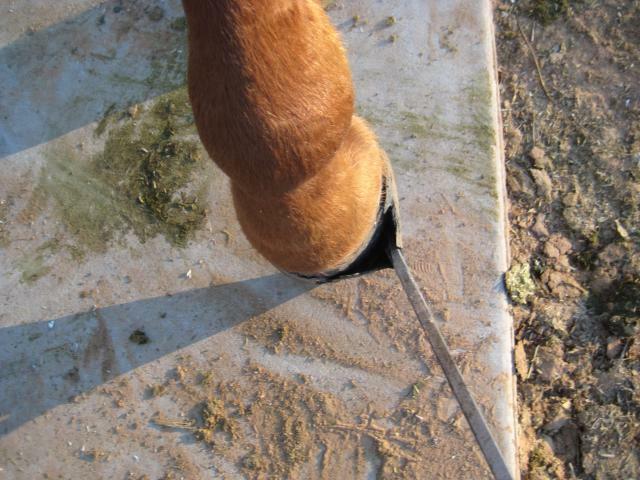 A little trick will help keeping this leg planted firmly on the ground: place the front leg on the cradle of a Hoof Jack. 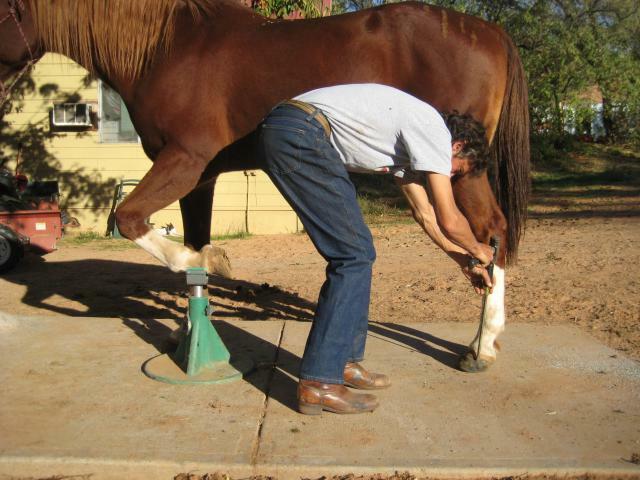 If you just happen to be without a Hoof Jack at that time, you can use your calf to rest the front leg of the horse. It helped me many times. Now we can pick up the leg, insert the screwdriver carefully between the wall and boot, slide it towards the sole and pry the boot off. 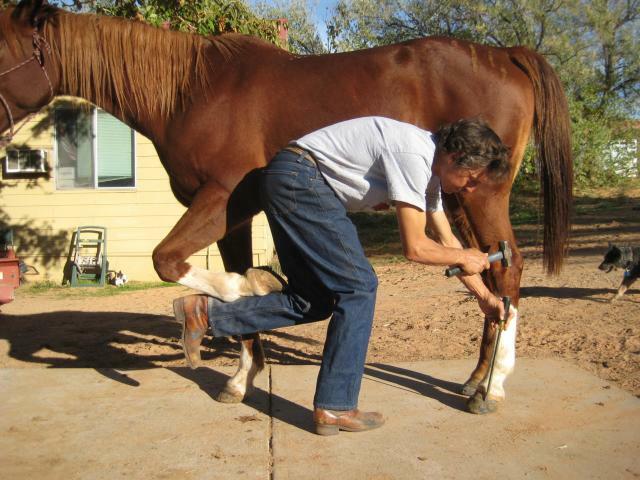 Keep the fetlock and hoof steady, do not tweak and twist the hoof, you could stress these joints needlessly. What to do with the boot you just successfully removed? You can grind the old glue away with a rotating wire disc. 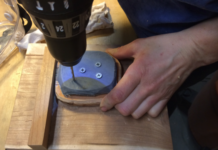 Inserted in a drill press mounted on a table works the best. 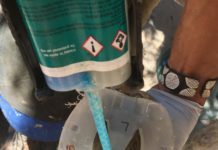 Hand drills work as well, but require a little more caution by the operator. 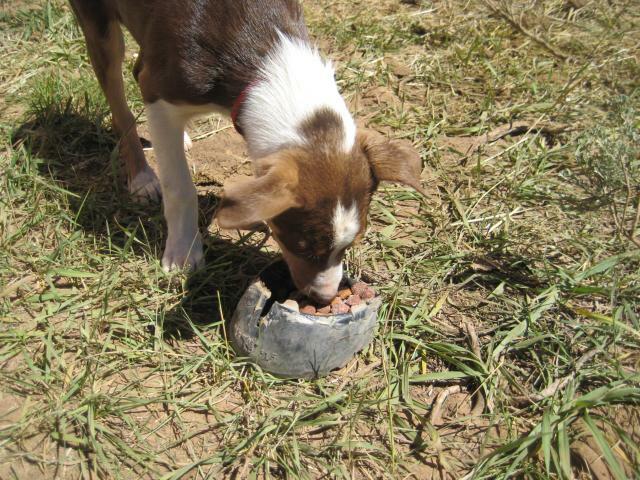 Or, if you just don’t want to deal with it, use them as a dog dish. I am now in Germany to teach a Hoof Care Clinic near Kassel in the state of Hessen and also assist Bernd Jung during his Hufschuhe Coach Seminar in Oberrot for a couple of days. The clinic will consist of barefoot trimming and proper usage of EasyCare Glue-Ons and Easyboot Gloves. In my next post at the beginning of December, I will tell you all about this experience and share some of my observations from overseas. Whether we are teachers or students, we are always learning. That is the basis for success.